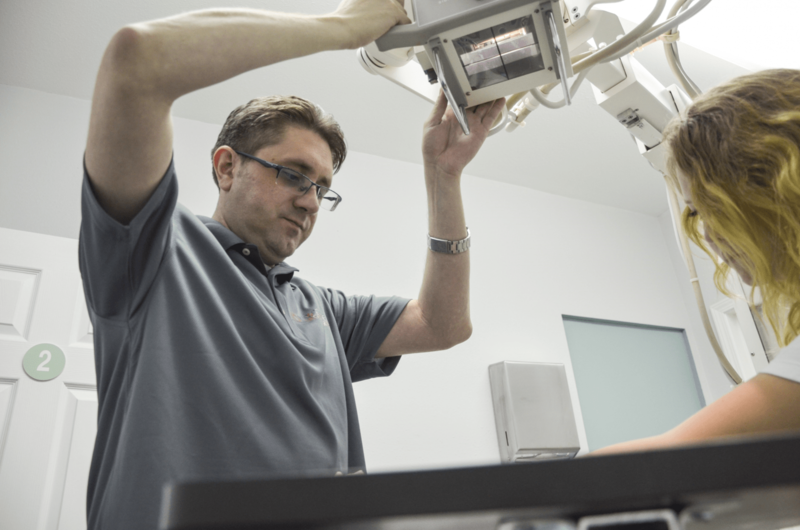 At Rio Grande Urgent Care we are able to perform x-ray examinations at the clinic during your visit. This can greatly reduce your wait time if you have a fracture or dislocation. Pneumonia and other lung issues can be diagnosed with a chest x-ray that will be performed in your examination room. We also have the capability to send the images that are obtained to an offsite Radiologist. A CT scan has a significantly larger amount of radiation than an x-ray. The radiation is emitted in the same form just in a much larger amount. One CT scan has the radiation equivalent to about 400 chest x-rays. The cost of a CT scan is far greater than that of an x-ray. CT scans can run in the thousands, where we can do most x-rays here in the clinic for less than a hundred dollars. The radiologist reading is built into the cost of the examination, so the patient will not receive 2 bills for their visit. Performing an x-ray seems to make more sense in determining a fairly quick diagnosis and treatment to many common injuries.